The P-75(I), approved by Defence Acquisition Council (DAC) in 2014, is a follow-on project of the ongoing P-75 submarine programme under which the Mumbai based public sector Mazagaon Dock Shipyard (MDL) is building six French Scorpene submarines better known as Kalvari class submarine. MDL has two more submarines to deliver. With the P-75 in its last leg, the Indian Navy focus has shifted to much delayed, the second line of submarine construction through P-75(I). Building upon the capability, Navy wants the next line of diesel-electric submarines to have Air Independent Propulsion (AIP) system which will enhance their underwater endurance. India intends to import technology and build these submarines at an Indian shipyard through the strategic partnership (SP) model. Although the SP model was for the private sector only it seems this project will see public sector shipyard participation also. Reportedly, the MDL is the main contender from the public sector side. The Request for Information (RFI) for the project, under the SP model, was issued in 2017, one year after the accordance of Acceptance of Necessity (AON) at Rs 40,000 crore (over USD 5 billion). The RFI was sent to six firms but was responded by four of them, namely, Russian Rosoboronexport with Amur, French Naval Group with Scorpene, German ThyssenKrupp Marine Systems with Type 214 and Swedish Saab-Kockums with A26. Spain and Japan didn’t participate in the tender. The Ministry of Defence (MoD), after the capability assessment, has shortlisted Reliance and L&T shipyards as the Indian partners from the private sector. Last week, Navy Chief was on a four-day visit to Russia “to explore new avenues for defence cooperation.” Russia is one of the main contenders of the P-75 (I) programme. India, reportedly, is working towards developing a prototype for a futuristic nuclear submarine with Russia which has also given the technical support to Indian nuclear submarine programme (Arihant class). India also operates seven kilo-class submarine. The Russian Amur is based on the Lada-class submarine which is an advanced version of the Kilo-class submarine. In the 30-year submarine plan, India decided to have two submarines lines of six submarine each, one from Russia and another from West. Since the French won the P-75(I), the project should go to Russia. Since the project has to be executed through the SP Model, the vendor and shipyard need to have technological compatibility else the cost of the project will see a substantial increase. This is where the L&T –Russian partnership can play an important role. L&T has played a significant role in the Arihant programme. 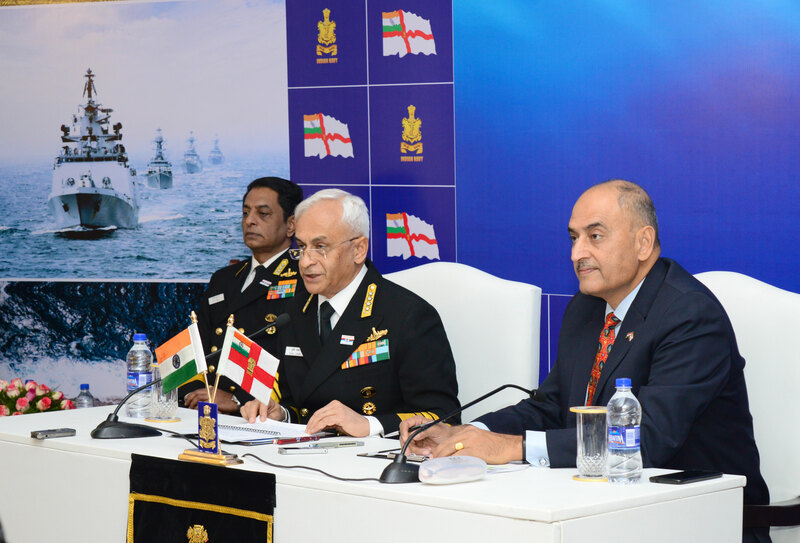 As the Navy is finalising the fine print for the execution of the P-75(I), it will be interesting to see whether the Indian Navy sticks to the bureaucratic process or take the logical route.